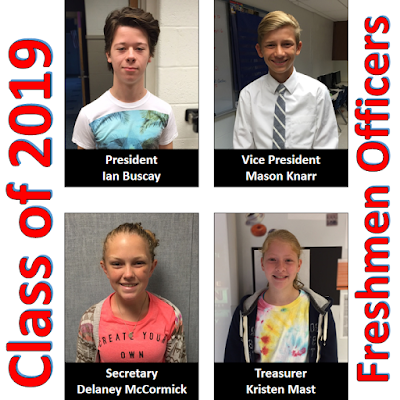 On Thursday, September 10, the Class of 2019 held elections for freshmen class officers for the 2015-2016 school year. Congratulations to President: Ian Buscay, Vice President: Mason Knarr, Secretary: Delaney McCormick, and Treasurer: Kristen Mast. The freshman class is advised by Mrs. Allen-Gordon.